1st India Indonesia Infrastructure Forum (IIIF) was successfully organized on 19th March, 2018 with the participation of over 30 Indian and 80 Indonesian companies from all branches of infrastructure sector, namely Construction, Ports, Power, Airports, Hospitals, Industry 4.0, IT solutions etc. 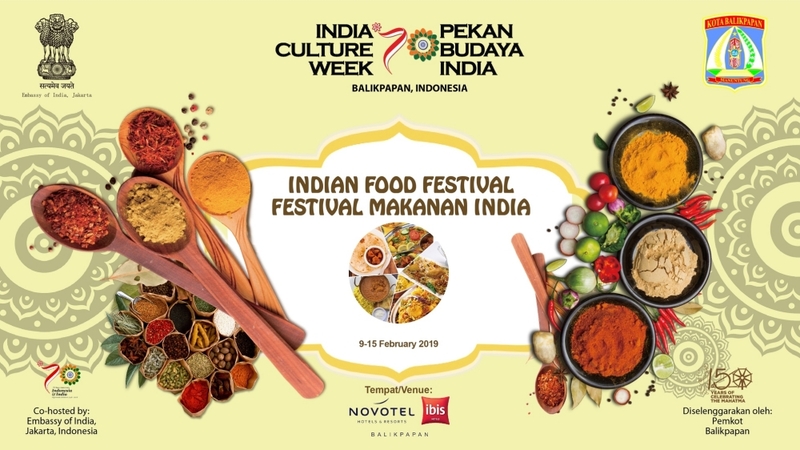 The Embassy of India in association with the City Government of Balikpapan is organizing an India Culture Week in Balikpapan from 9-16 February 2019. The India Culture Week (ICW) will showcase different facets of Indian arts, culture, music, dance, food, Yoga and Bollywood films spread over an entire week. The India Culture Week will be jointly inaugurated by the Mayor of Balikpapan City and senior Embassy officials. 2. As part of the ICW, Embassy would be organizing an ‘Indian Cultural Dance Performance” on 10th December afternoon at Plaza Balikpapan at 1100 hrs and on the evening at Dome from 1800 hrs. The program will showcase a wide variety of Indian contemporary dance forms with a mix of popular movie songs, classical music, Bollywood dances and cultural performances. 3. Embassy of India and Hotel Novotel Balikpapan have also partnered to bring delicious Indian cuisine to Balikpapan. An “Indian Food Festival” will be inaugurated by Mayor of Balikpapan City and senior Embassy officials at Hotel Novotel Balikpapan on 9th February at 1900 hours. The food festival will remain open till 15th February 2018 at Hotel Novotel Balikpapan. An Indian chef has been deployed specially for preparing authentic Indian delicacies, curries and sweets. Indian food is known world over for its rich aroma, taste and great degree of variety and will be available to Balikpapan food lovers. 4. In addition, a special photo-exhibition on “Islamic Monuments of India” will be on display at the Plaza Balikpapan from 10-16 February and the photo-exhibition showcases facets of shared Islamic Heritage between India and Indonesia. 5. 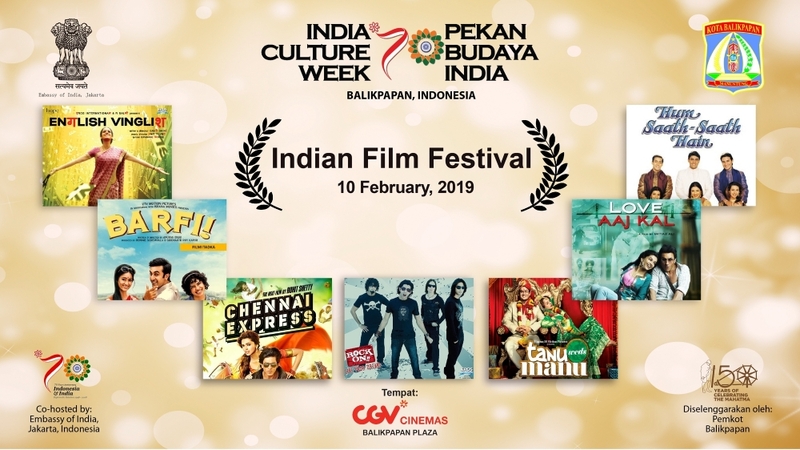 An Indian Film Festival will also be held from 10-16 February at Plaza Balikpapan on 10th February as inauguration, and continue from 11-16th February at Gedung Kesenian Balikpapan. In this weeklong film festival, Embassy is screening seven of India’s latest Bollywood hits like English Vinglish; Tanu Weds Manu; Love Aaj Kal; Barfi; Chennai Express; Hum Saath Sath Hain and Rock On. All of these movies have been successful globally and will be available for viewing by cinema lovers in Balikpapan. The movies have been dubbed in Bahasa Indonesia. 6. 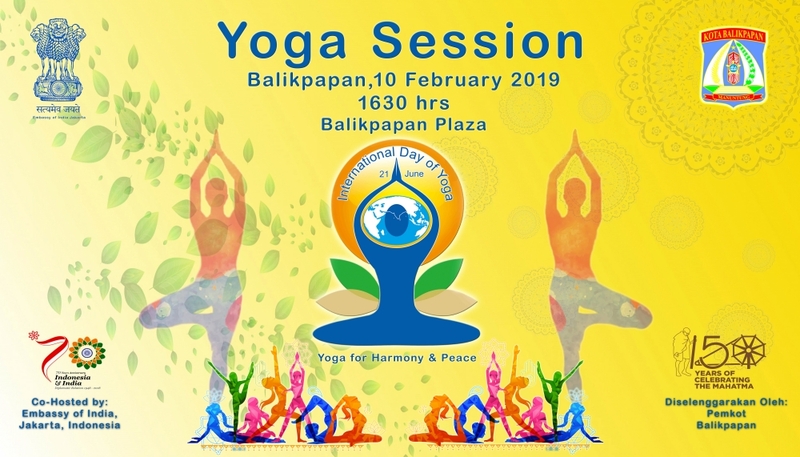 In addition, a special event following the 4th International Day of Yoga, which annually falls on 21 June, will be organized in the evening of 10th February at the Plaza Balikpapan. More than 200 Balikpapan people, yoga associations are expected to participate in the Yoga Sessions, which would be conducted by an Indian Yoga Teacher from Jawaharlal Nehru Cultural Center of the Embassy of India in Jakarta. 7. A detailed schedule of events with date, time and venue of each event is attached. 8. 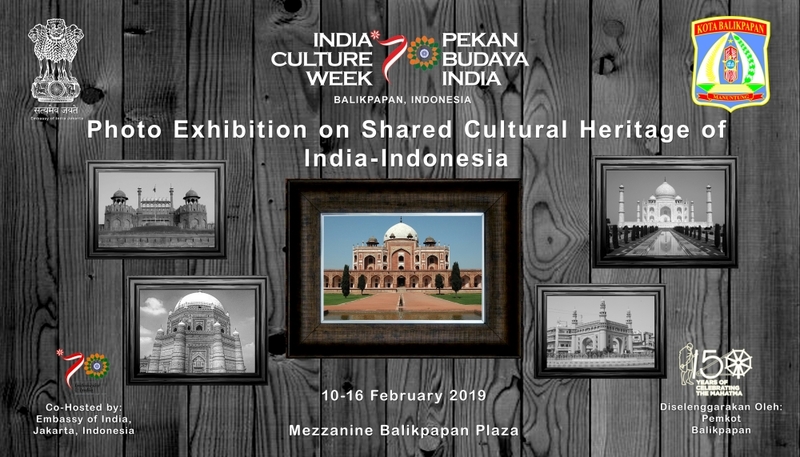 It is expected that the week-long events planned under the India Culture Week would facilitate a better understanding and appreciation of India in the hearts and minds of Balikpapan residents. The Embassy of India is deeply appreciative of the support and facilitation provided by leadership of City Government of Balikpapan, for hosting the India Culture Week Celebrations.